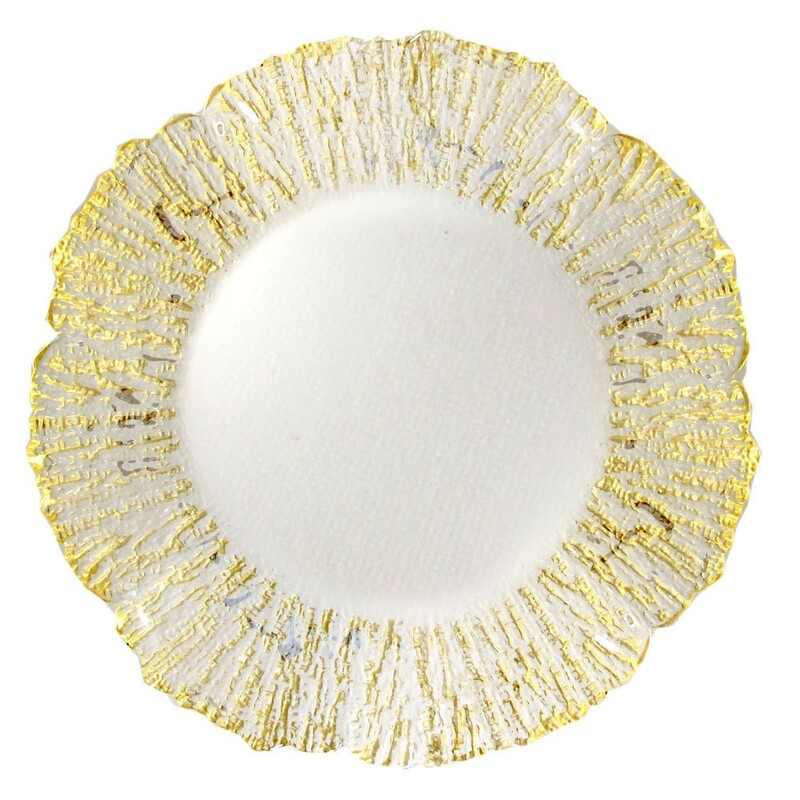 ChargeIt by Jay Deniz Gold Flower Charger Plate 12"
Home > Products > ChargeIt by Jay Deniz Gold Flower Charger Plate 12"
The unique design of the ChargeIt by Jay Deniz Gold Flower Charger Plate 12" will add an artistic flair to your table setting. Featuring a glass construction with fossilized-style gold edging, this charger plate adds a touch of modern elegance to any meal presentation. Perfect for full course meals at upscale events, this charger plate is an excellent base for a variety of dinnerware. Attractive as well as functional, this charger plate will help protect your table from spills and mess and will make cleanup hassle-free.